Ben Borgmeyer is an associate with the firm. Ben graduated from Depaul University in 2002 and received his J.D. from St. Louis University School of Law in 2008. Ben was licensed to practice law in Missouri in 2008. Prior to law school, Ben began his legal career as an employment law paralegal writing affirmative action plans and defending corporations audited by the Office of Federal Compliance. While in law school, Ben interned at the Equal Employment Opportunity Commission and at the Eastern District of the Missouri Court of Appeals. 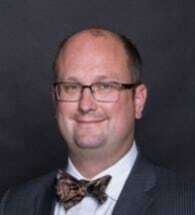 Upon graduating, Ben began working at the Missouri State Public Defender as a trial attorney first in West Plains, Missouri, and then Clayton, Missouri. He joined Rosenblum, Schwartz, Rogers & Glass, P.C. in February of 2016.